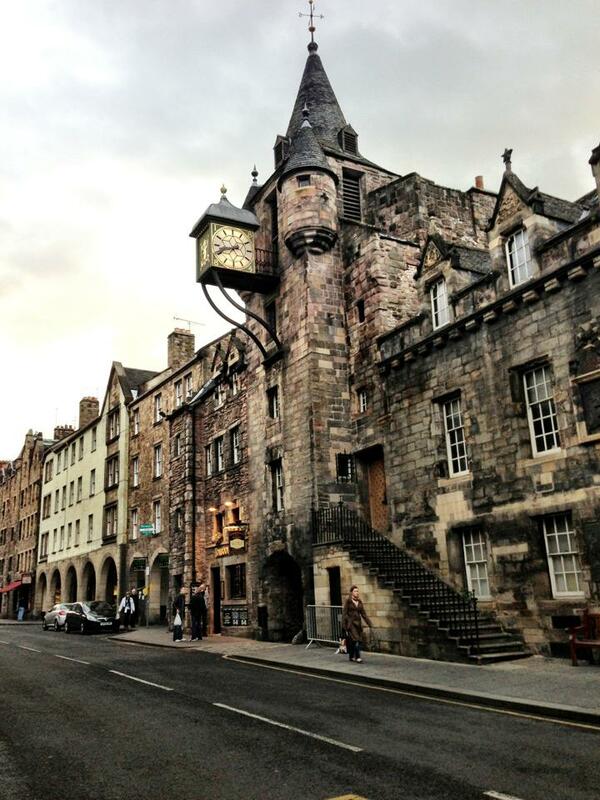 Edinburgh, the second largest city in Scotland, is my favorite city in the world. The combination of scenic hikes, cobblestone streets, gothic churches, Greek Revival architecture, gardens, fascinating museums and variety of cuisine make it a destination that anyone can enjoy. While I recommend spending a few days in Edinburgh if possible, you can see the main highlights in two days since the old portion both the city is fairly compact and easy to explore by foot. The order in which you visit the sites below really depends on the weather. 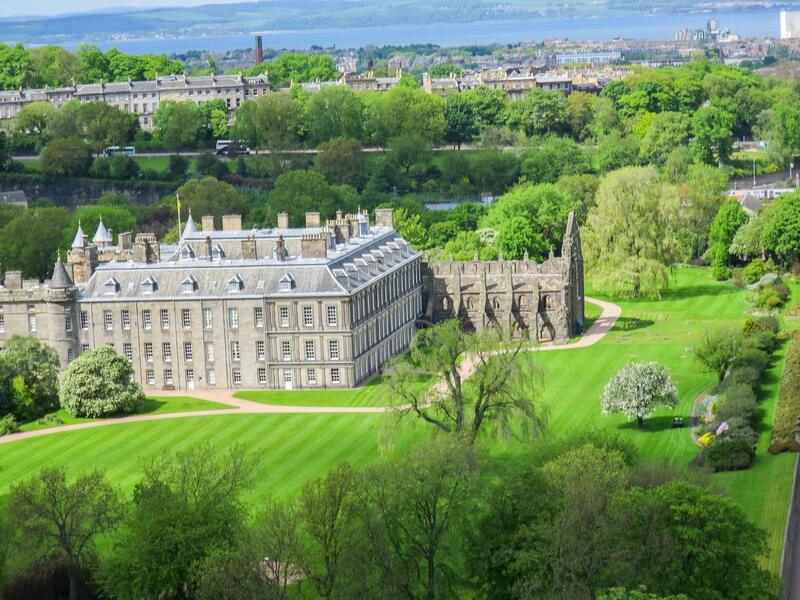 If the forecast calls for sunny weather on your first day in Edinburgh, visit the outdoor destinations and save the museums and indoor activities for the second day. 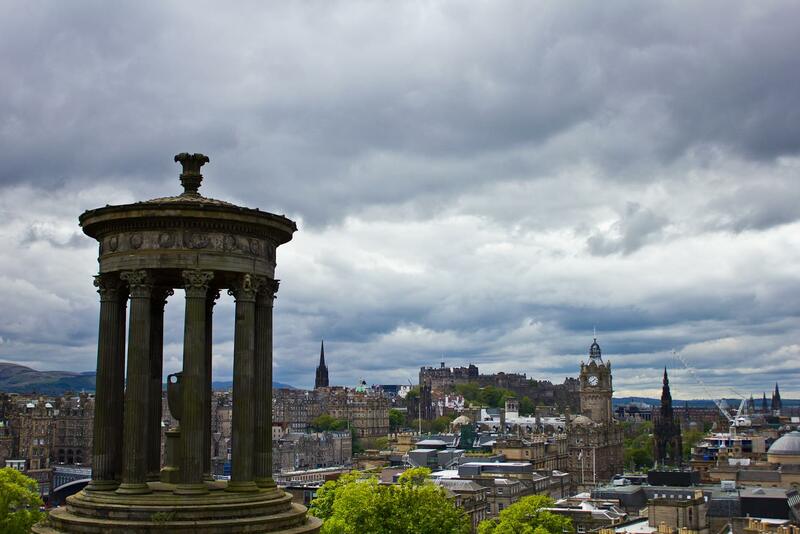 Located in the heart of Edinburgh’s Old Town, the Royal Mile connects Edinburgh Castle with the Scottish Parliament and Holyrood Palace at the other end. 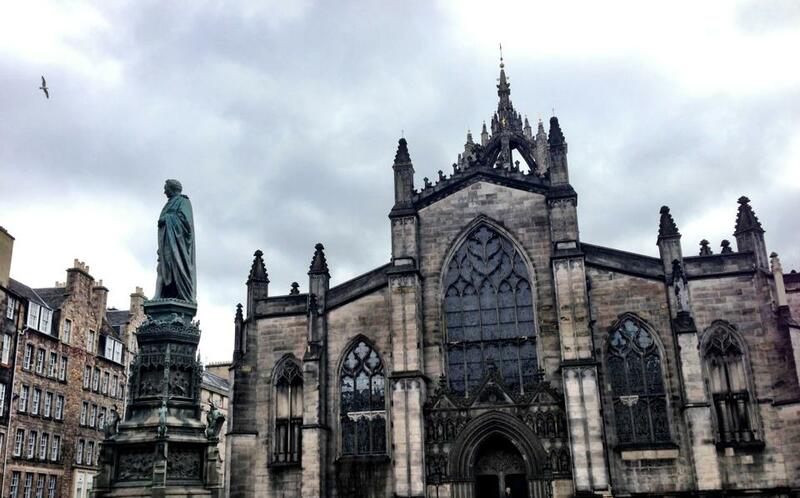 The main street includes a mix of historical sites, such as St. Giles’ Cathedral, along with kitschy souvenir shops. Make sure to venture off the main street and explore the narrow staircases and closes. Cute little street just off the Royal Mile. 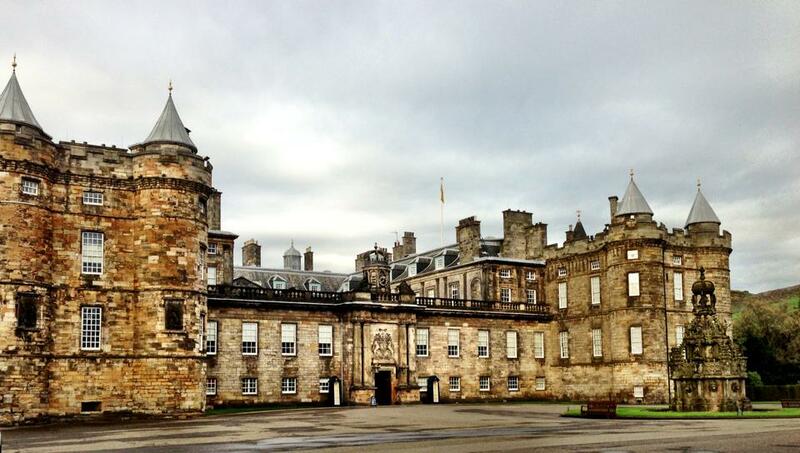 Holyrood Palace is the Queen’s official residence while in Scotland, located near the Salisbury Crags. When the Queen is not in residence, visitors can take a tour of the palace and get a glimpse of modern royal life. 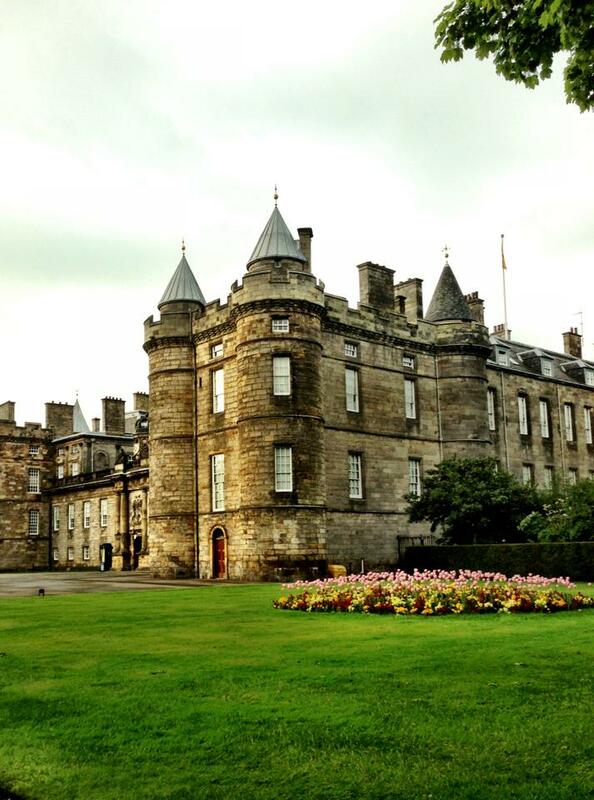 On my second visit to Holyrood Palace, I was unable to tour the palace since Prince Edward was in residence. I spent a few minutes taking photos from the main gate and was able to meet his super friendly dog. 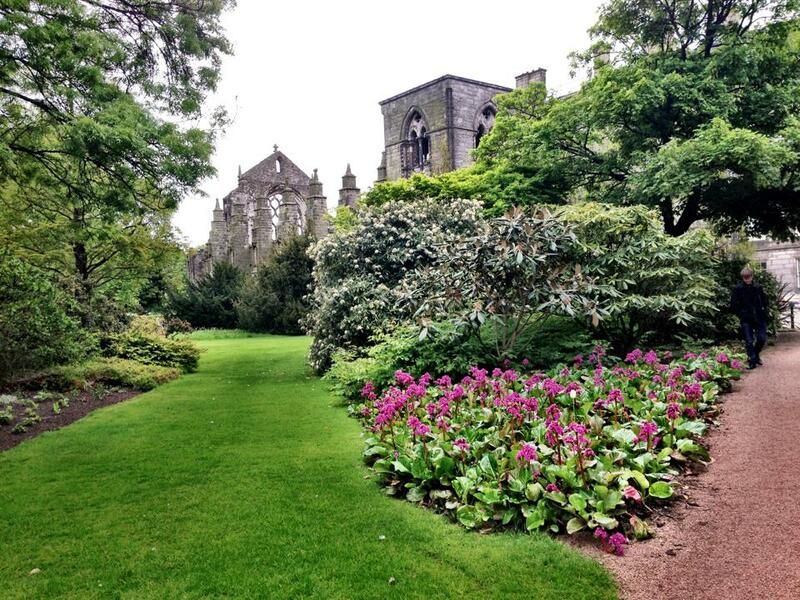 Once you’re done with the palace tour, spend some time wandering around the abbey ruins and gardens. 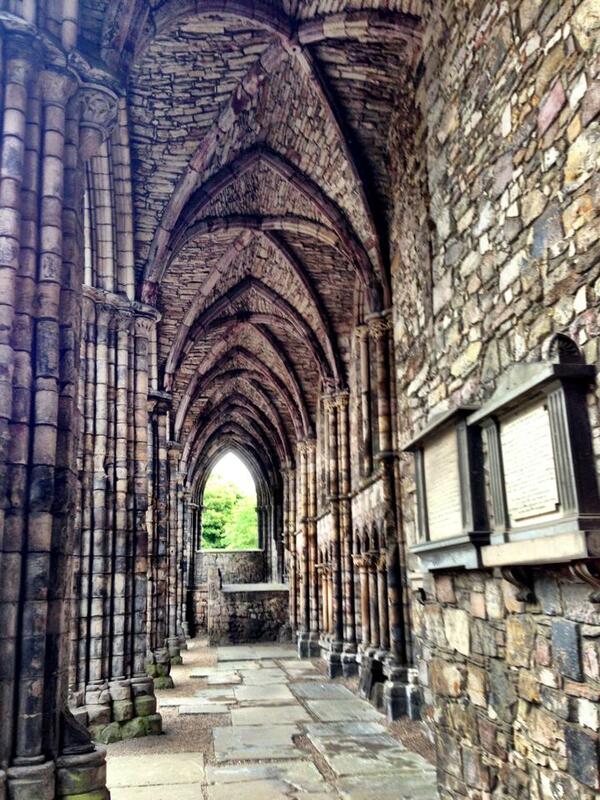 Abbey ruins at Holyrood Palace. The palace gardens and ruins. Unicorns are everywhere, if you know where to look for them. 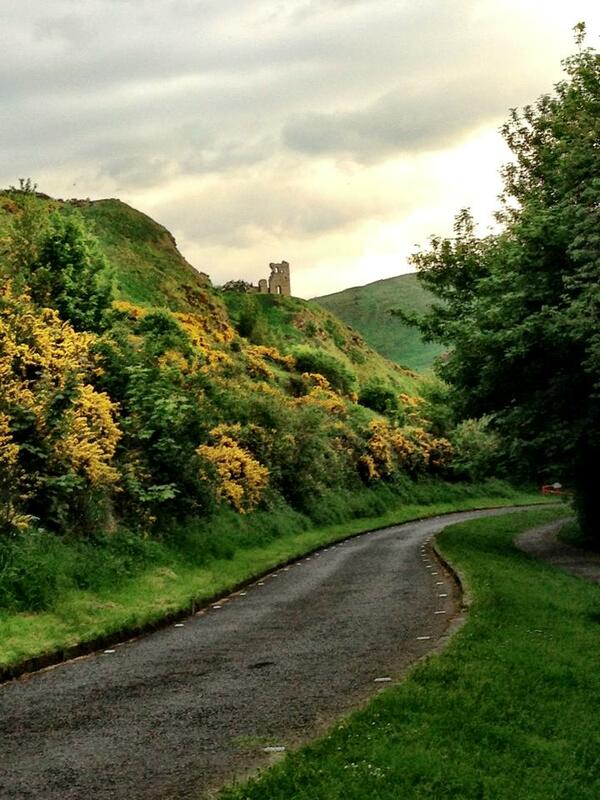 Perched atop an extinct volcano, the 11th-century castle dominates Edinburgh’s skyline. 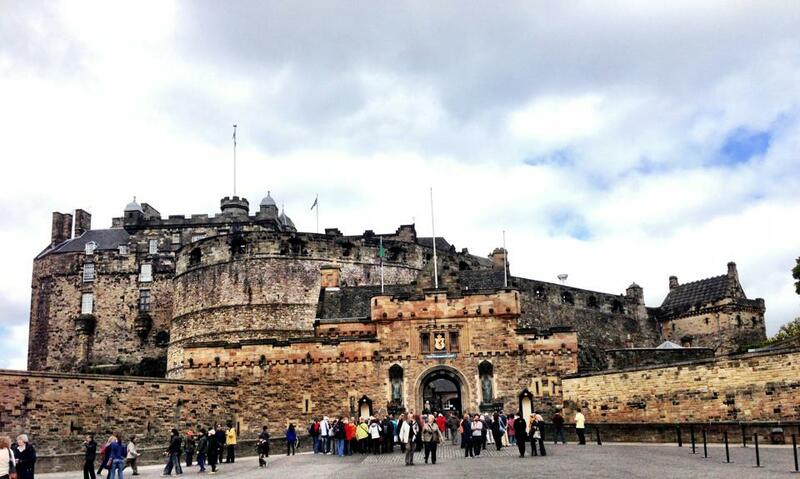 Not only is the massive fortress beautiful, it’s also rich in history. 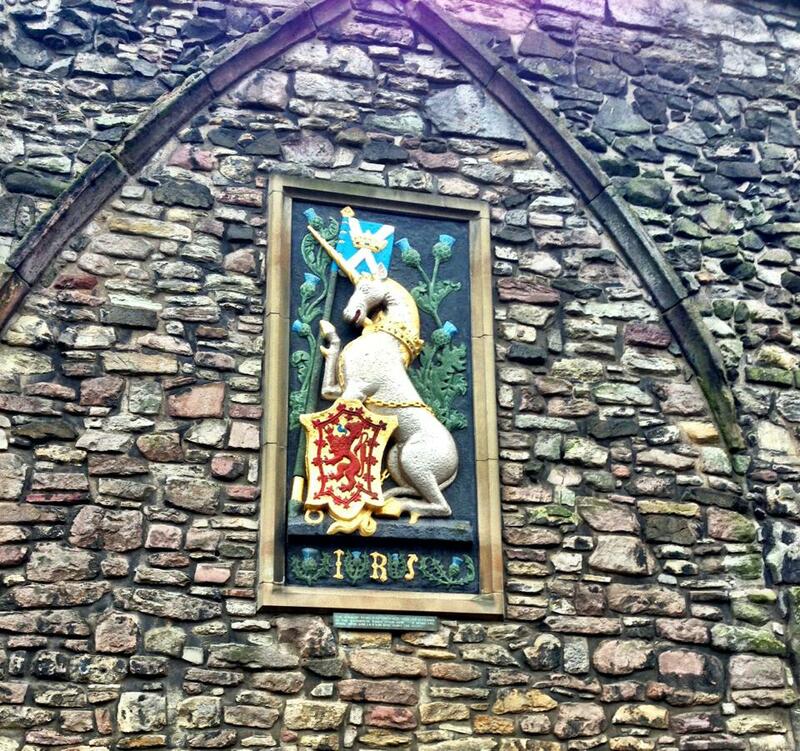 The castle served as the royal residence for Scottish Kings and Queens until the Union of the Crowns in 1603. 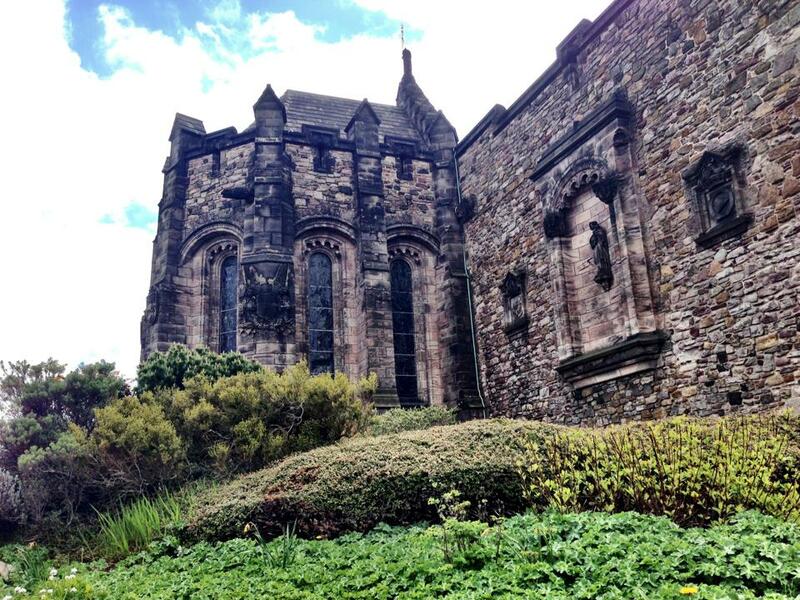 St. Mary’s Chapel, the castle’s oldest building, was created by David I and is still used for weddings and religious ceremonies today. The Great Hall was built before the death of King James IV in 1513 and was primarily used for state assembly. Other areas of the castle house the National War Museum, Crown Jewels and the Prisoners of War barracks, one of my favorite areas of the castle. Here you can see where Americans, French, Irish and other prisoners were housed during the American Revolution. I especially loved the sign about Americans = pirates. 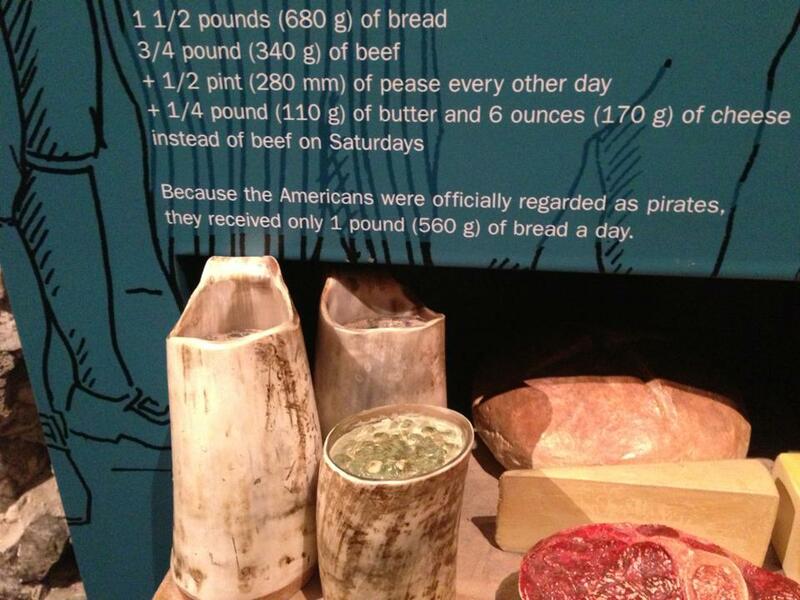 Americans got less rations because they were pirates. 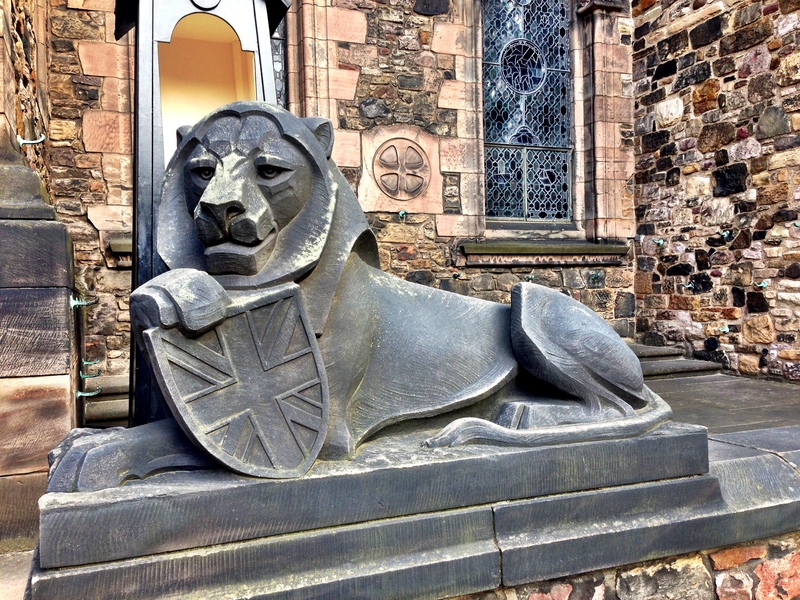 Lion statue at Edinburgh castle. 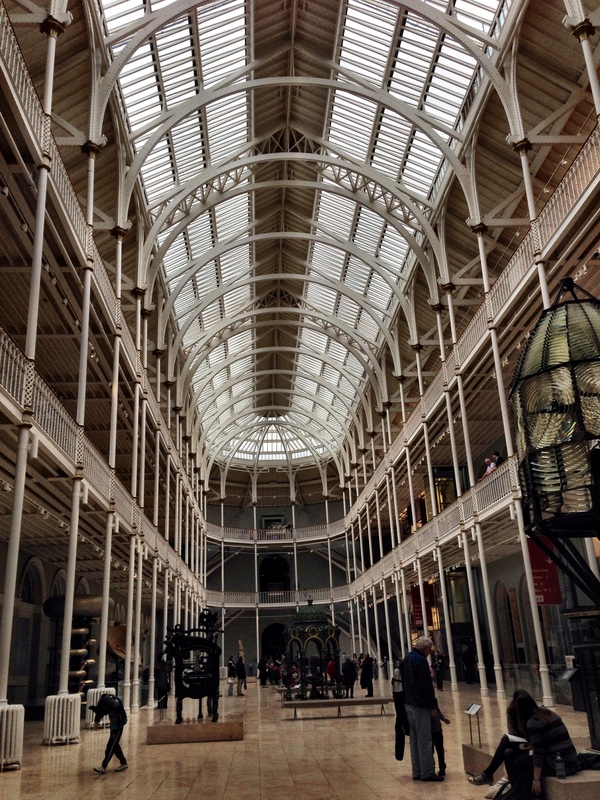 Perfect for a rainy day, the National Museum of Scotland houses over 20,000 artifacts from prehistoric times to recent history. My husband and I spent several hours in the museum, mostly in the Scottish history section. The National Museum of Scotland. 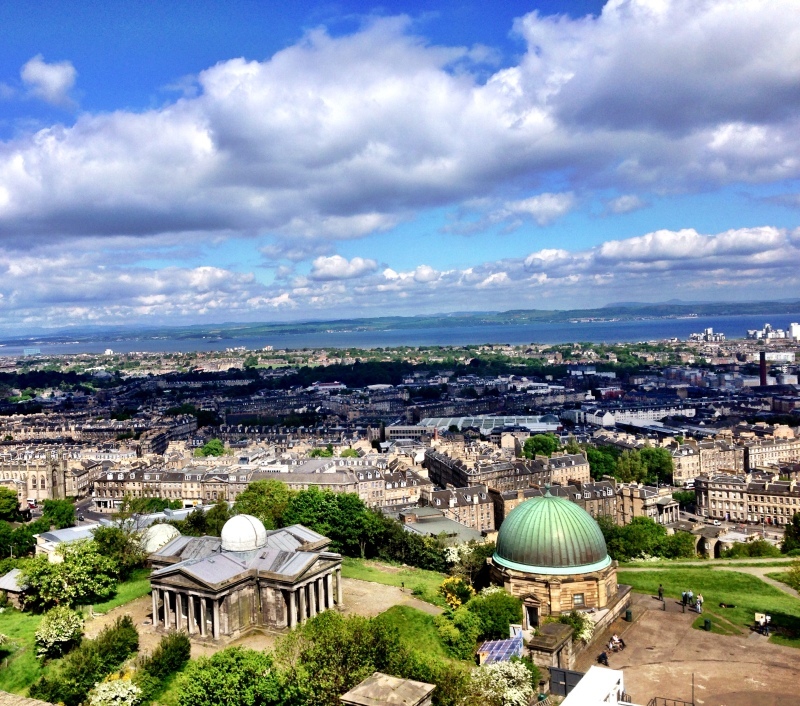 The views from Calton Hill are spectacular and they’re even better at the top of the 143-stair Nelson Monument. 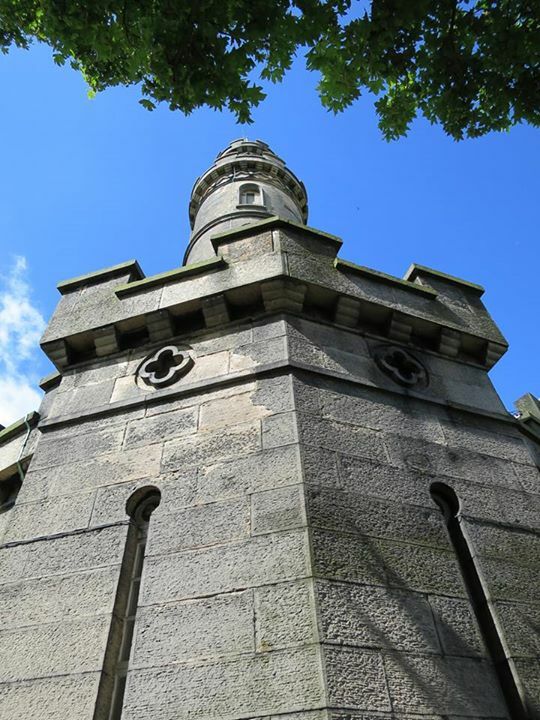 Other monuments on Calton Hill include the Dugald Stewart Monument, Old Royal High School, City Observatory and the National Monument, created to commemorate the Napoleonic Wars. 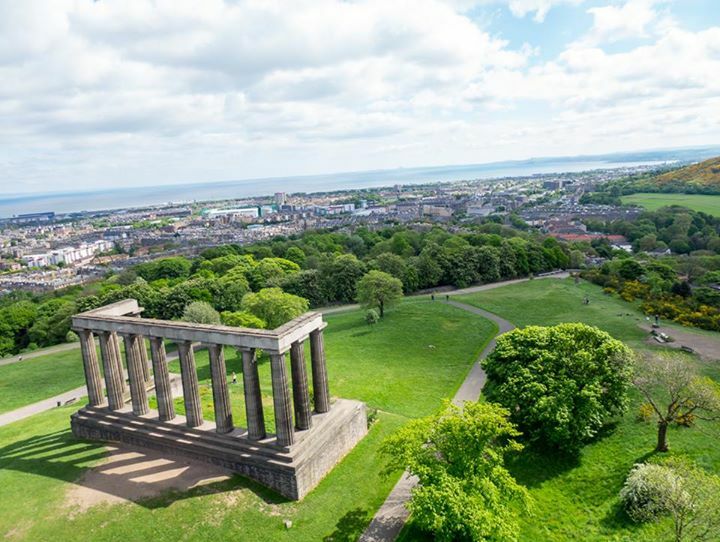 View from the Nelson Monument on Calton Hill. 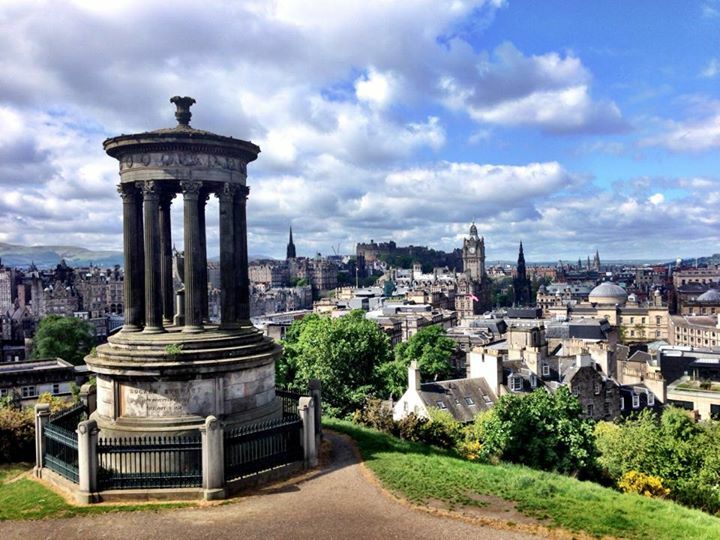 Calton Hill, overlooking Princes Street. Looking down at the National Monument from the top of the Nelson Monument. 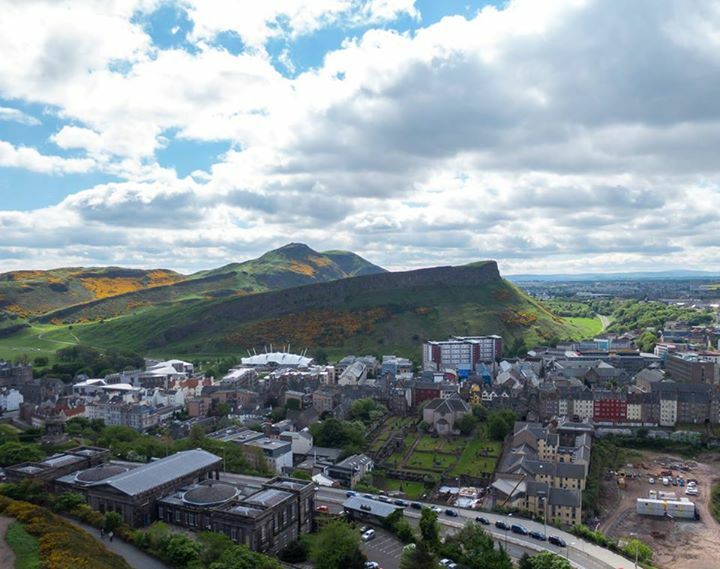 Located in Holyrood Park, Salisbury Crags and Arthur’s Seat are among my favorite places in Scotland to relax and just enjoy the view. 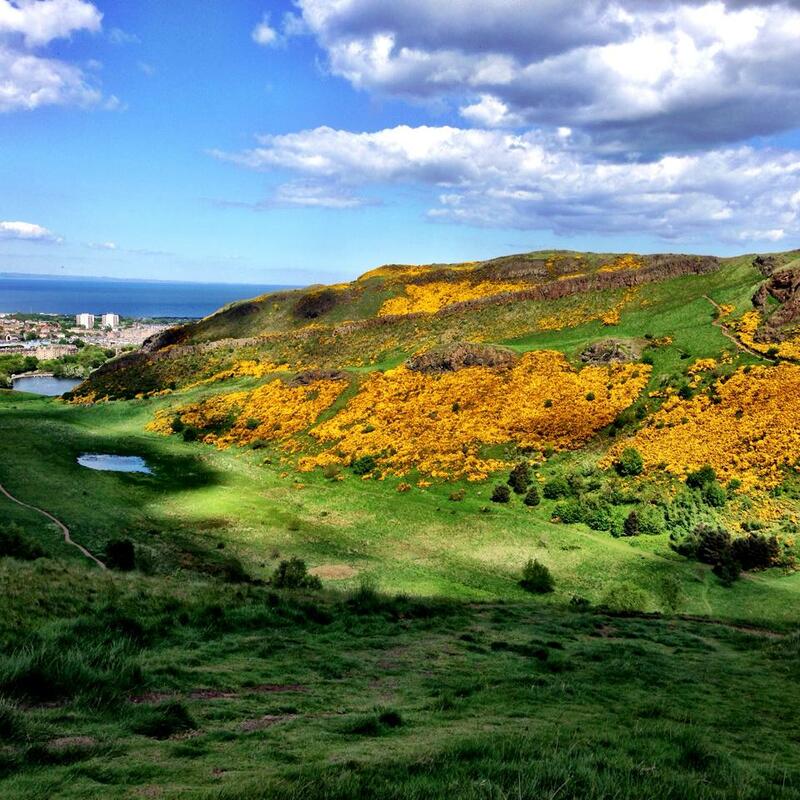 The climb up to Arthur’s Seat is steep but the views of Edinburgh are well worth the effort. 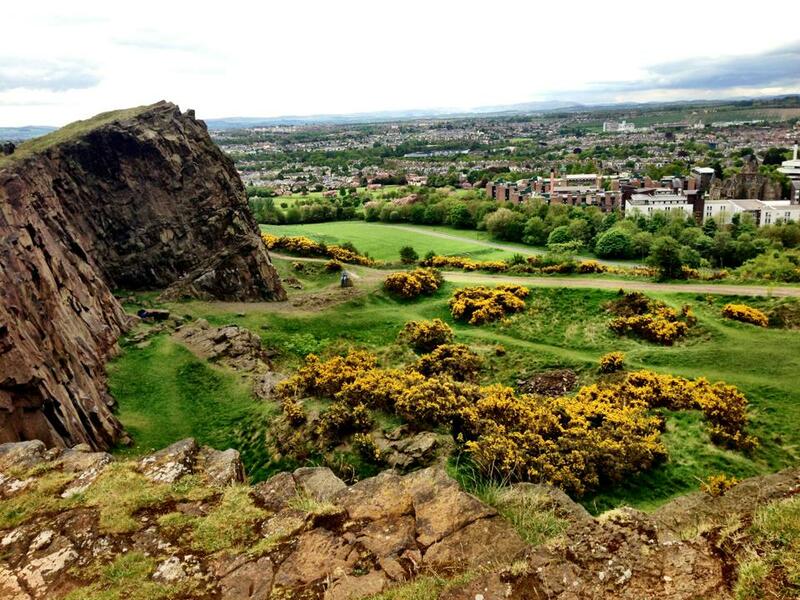 If you don’t feel fit enough to make it up to Arthur’s Seat, spend time on the paths around the rim of Salisbury Craigs, where you’ll also get great views of the city. 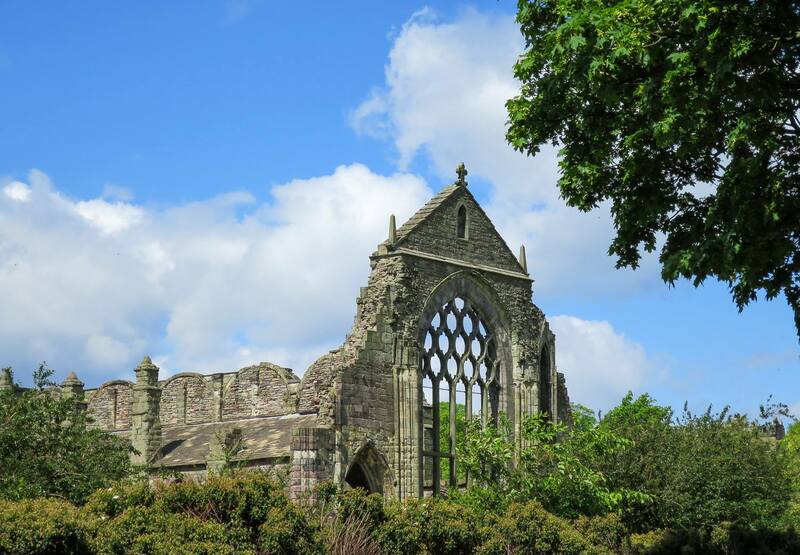 Keep your eyes peeled for the ruins of St. Anthony’s Chapel, built in the 1300s and the only remaining building in Holyrood Park. Once you’ve finished with your hike, reward yourself with ice cream from the Mr. Whippy truck, located in the parking lot. You can see the top of Arthur’s Seat. 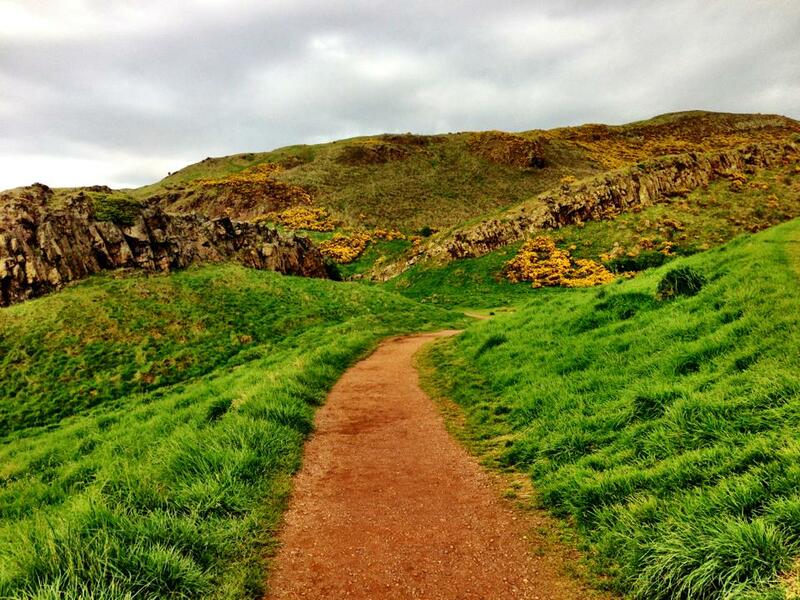 Walking around Salisbury Crags in Holyrood Park. 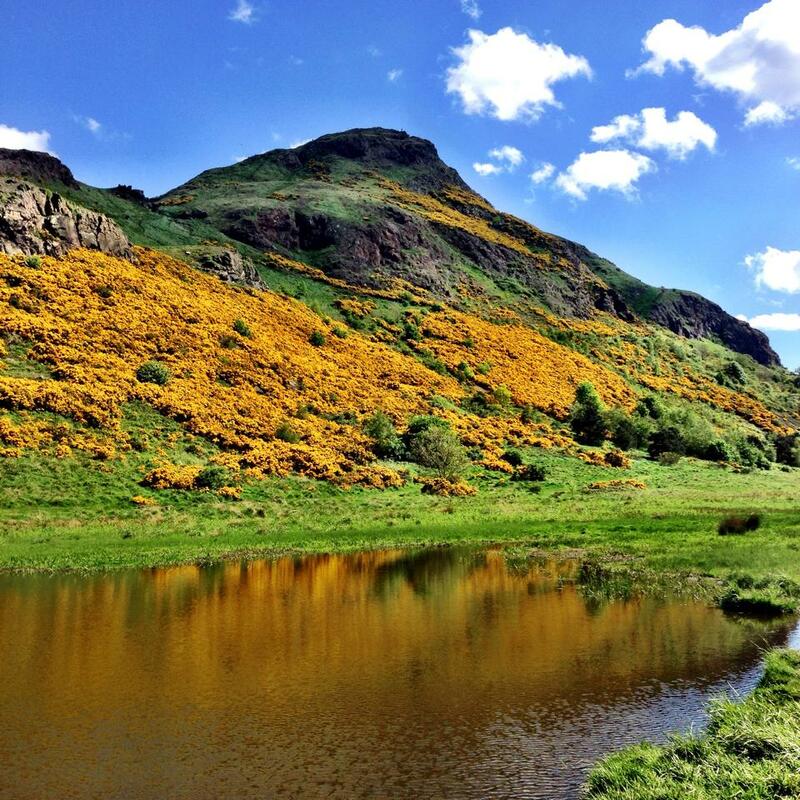 Edinburgh is a wonderful walking city. 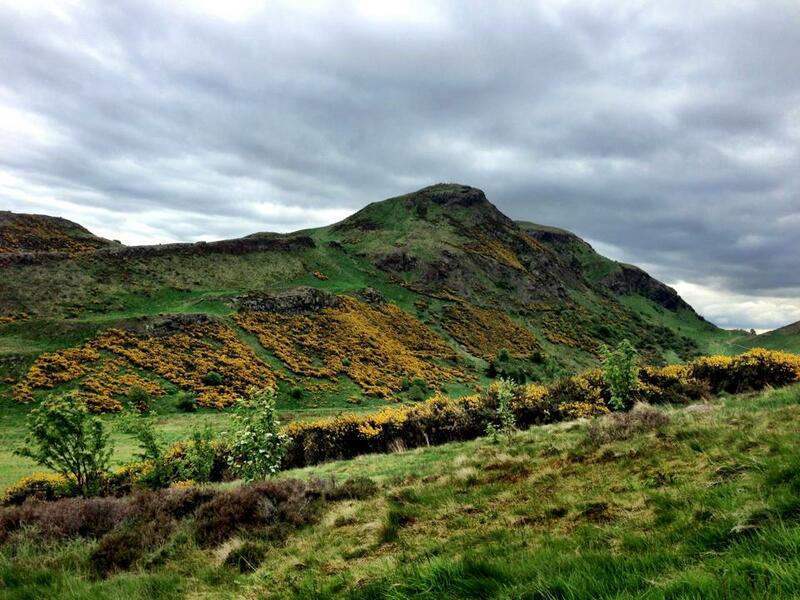 During my two days there, I walked everywhere and only hailed a cab once, when my feet were tired after hiking up Arthur’s Seat. 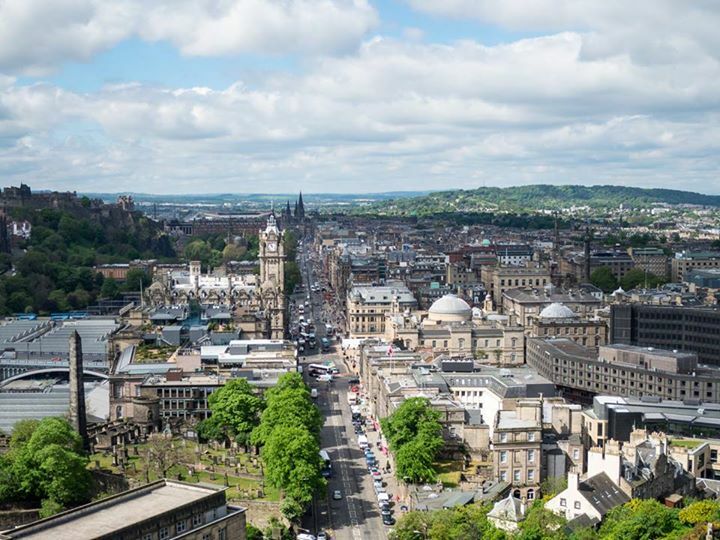 Edinburgh has an extensive network of local buses and you can take advantage of Lothian Buses DayTicket, which allows unlimited daily travel around the city. Since Edinburgh’s streets are maze-like and parking is expensive, I do not recommend renting a car in the city. The weather in Edinburgh is very unpredictable. Always layer your clothing and bring an umbrella or a rain coat. If you’re arriving from London, consider taking the train. 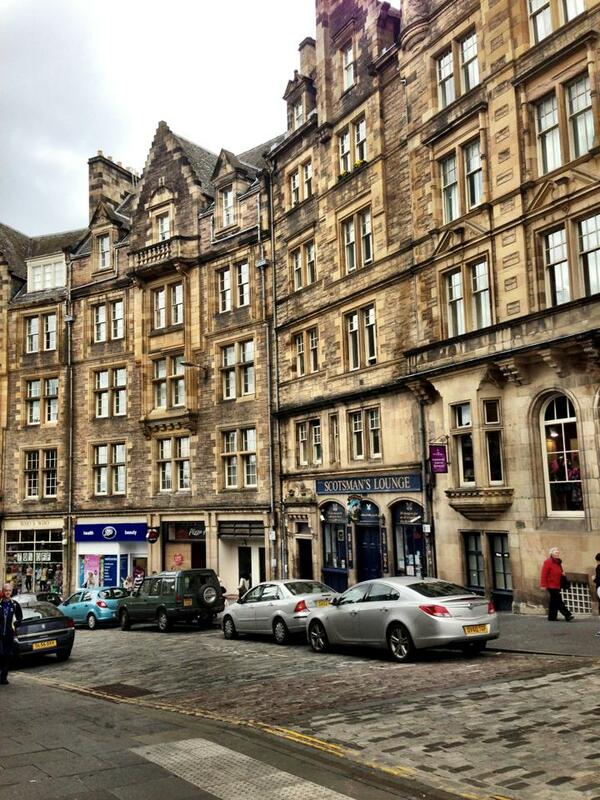 It’s an enjoyable way to get to Edinburgh and you’ll arrive at Waverly Station, right in the center of the old city. The roads are very narrow and maze-like so avoid bringing a car into the city if possible. If you’re going to explore other areas of Scotland, rent a car at the airport and go from there. 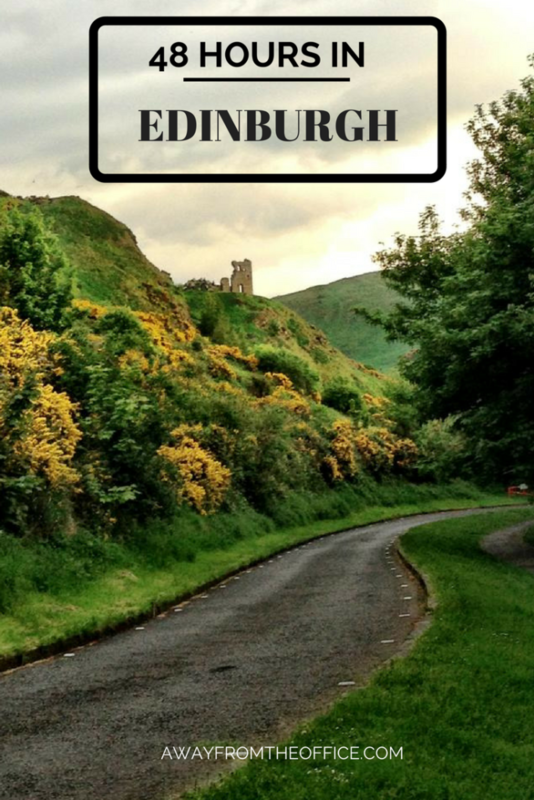 Import note: Edinburgh is actually pronounced Ed-in-bruh. I thought it was pronounced Ed-in-burg, which resulted in some funny looks. Trust me on that one.